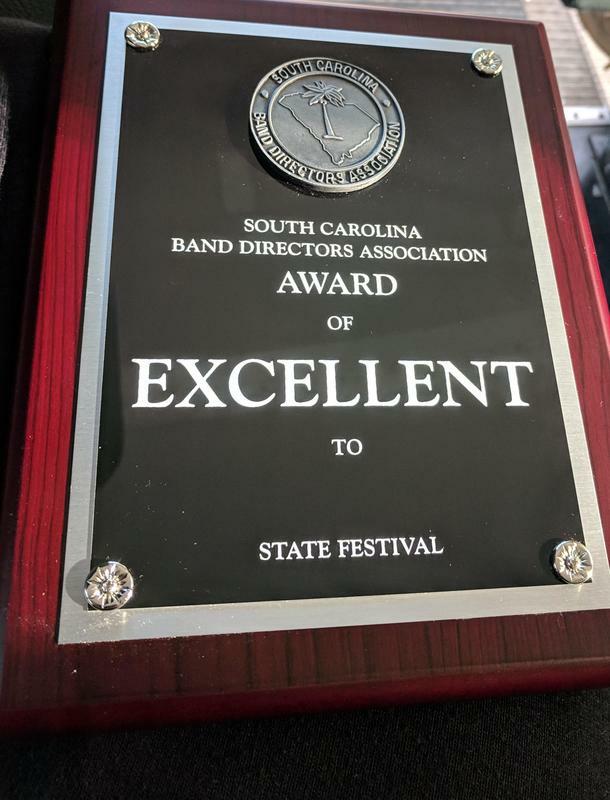 The Hardeeville-Ridgeland Middle School Advanced Band received an overall Excellent Rating at the State Concert Performance Assessment sponsored by the South Carolina Band Director's Association. This event took place Wednesday, March 27th, 2019, at Goose Creek High School in Goose Creek, SC. The Advanced Band performed three prepared pieces of music for a panel of three judges where we received a rating of II (Excellent) on a scale of I-V with I (Superior) being the highest score. We then went into a separate room and were given a piece of music that none of us had ever seen before. We were given six minutes to study the piece without playing a single note and performed the piece for a panel of two judges. We received a I (Superior) from both judges.